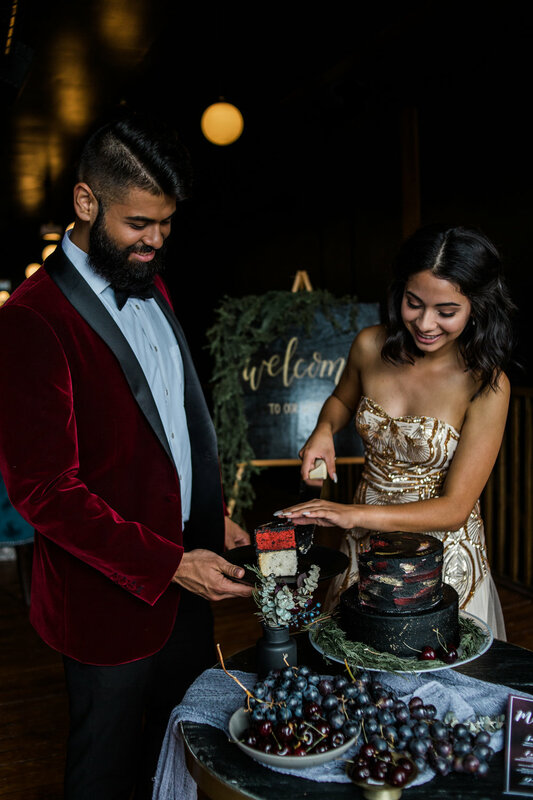 Moody Autumn Wedding Styling — everAFTER magazine everAFTER magazine celebrates and inspires a couple’s journey from their engagement through to their wedding day and beyond including lifestyle and travel. Wedding venues, bridal, fashion and styling inspiration. 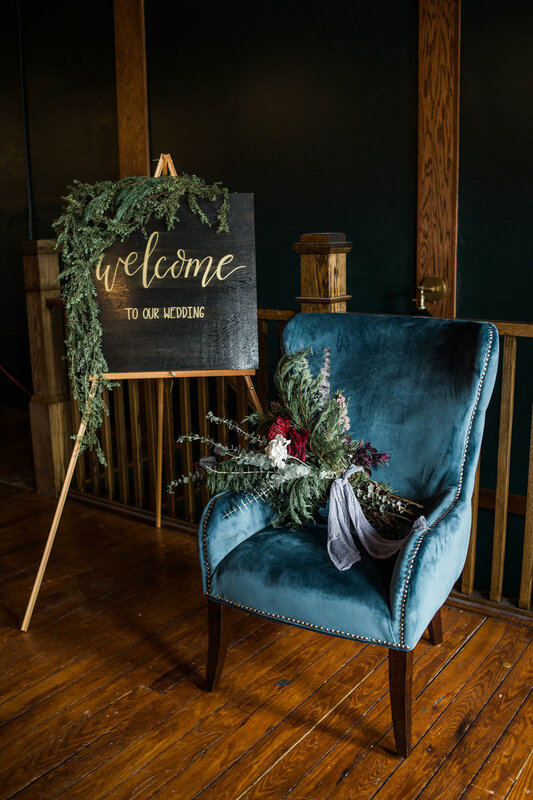 Together with local suppliers, American based Heidi Bee Photography created this dramatic autumn inspired wedding shoot. Press Coffeehouse + Creperie in North Carolina was transformed into an urban wedding space. Exposed brick walls of the interior loft space and a courtyard garden set the tone for the autumn inspired styling. Rich colours of plum, crimson, red and purple were featured in the floral arrangements, table settings and stationery. An abundance of a variety of greenery and berries gave the styling a dramatic feel as well as grey linens and accents of muted gold.